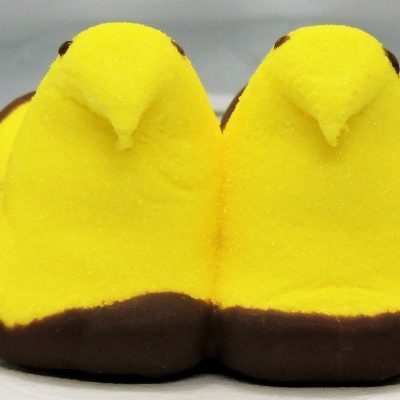 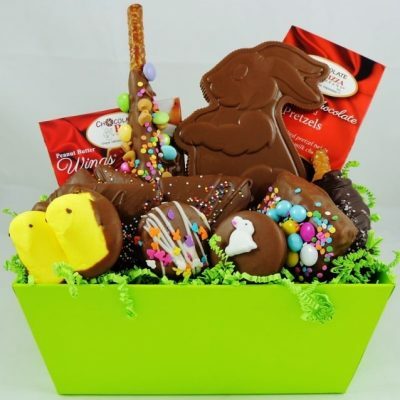 Easter chocolate just goes together. 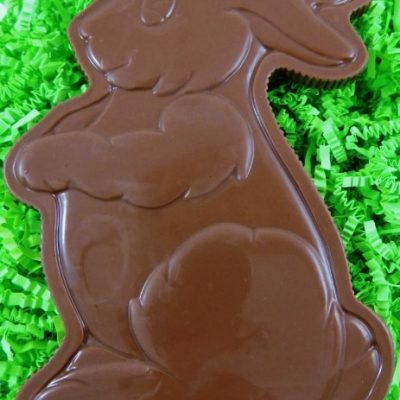 Surprise some-bunny with the best tasting chocolate of the season. 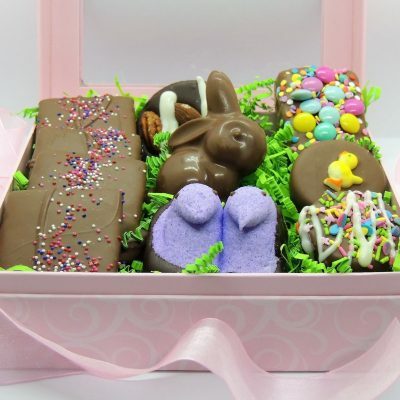 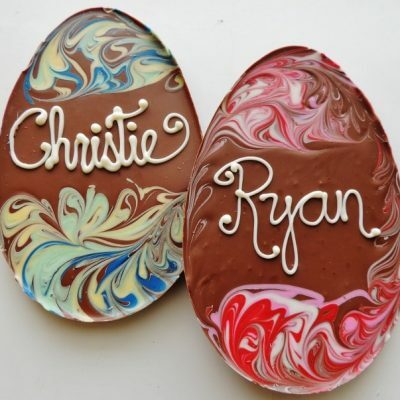 Our talented chocolatiers turn up the creativity with favorites like our Personalized Hand-swirled Easter Eggs or the Pastel Swirled Easter Eggs. 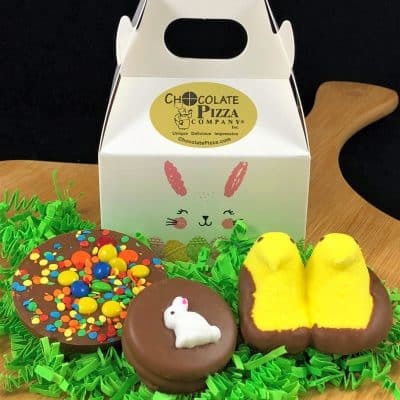 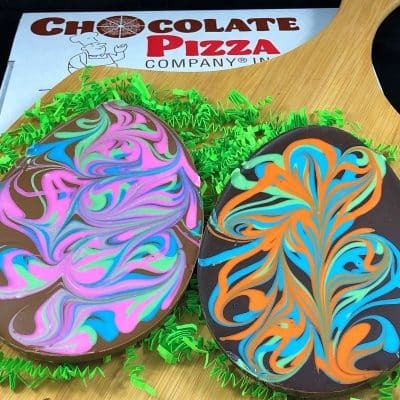 The Happy Easter Chocolate Pizza is trimmed in pastel colored candies, hand-decorated and served in a custom pizza box. 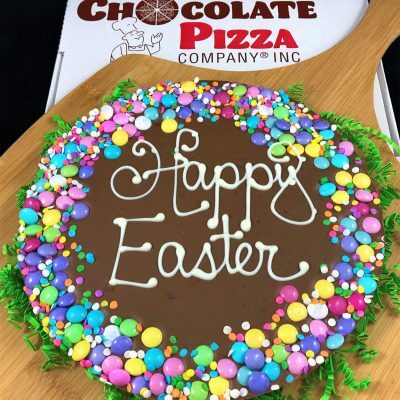 Spring Has Arrived Chocolate Pizza is a seasonal classic that brings smiles every time. 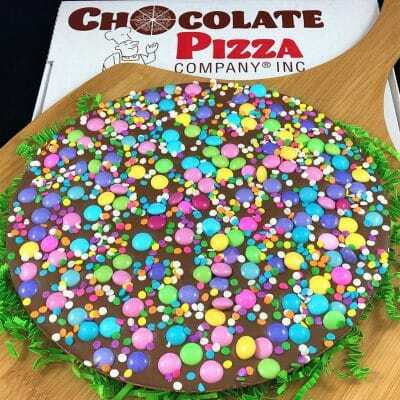 Featured on Food Network, NBC’s Today show, ABC news and other media outlets, our Chocolate Pizza is so unique it’s trademarked and has been ordered by chocolate lovers on 6 continents. 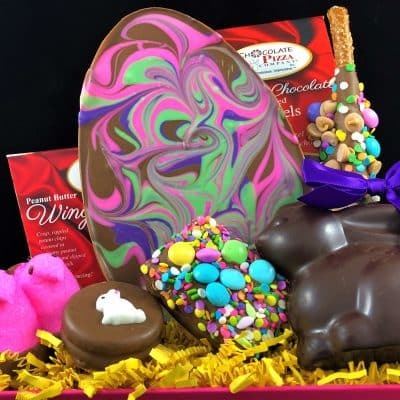 We take rich milk chocolate or decadent dark chocolate and blend it with homemade English toffee from a local recipe dating back to 1919. 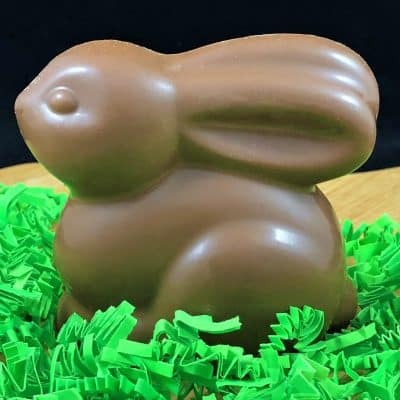 We make the toffee on-site, in small batches and grind it fine before adding it to our tempered chocolate. 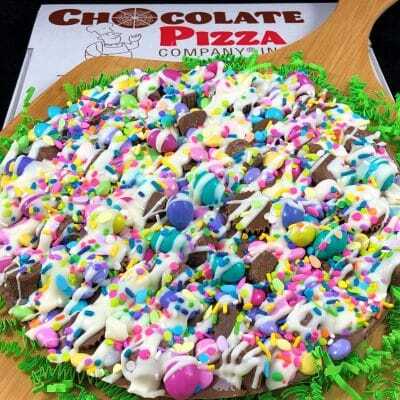 We pour that blend into real pizza pans which are then topped by hand with a dizzying array of nuts or candies. 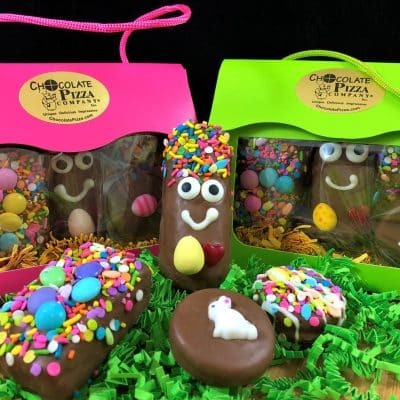 Each one is sealed for freshness and served in a custom pizza box.